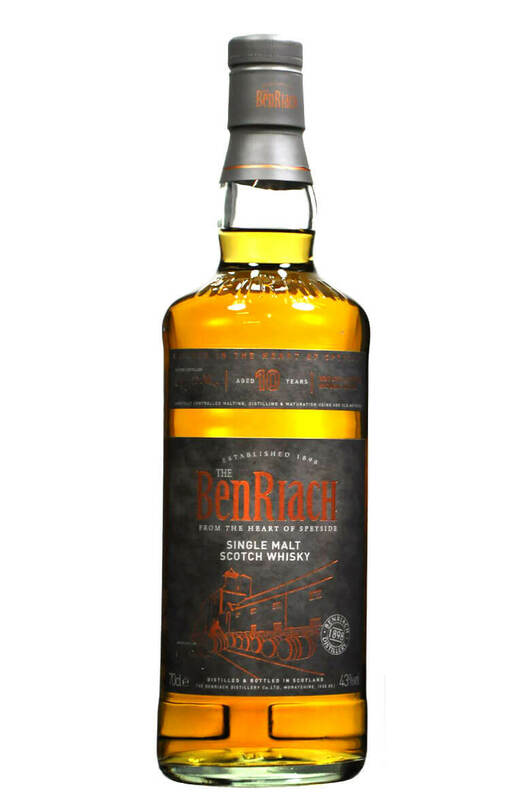 This is a significant release of Benriach. It is the first core release made from whisky distilled after the company was taken over by Billy Walker and his consortium. A soft, supple and juicy single malt bottled at 43%. Aromas (without water) A fresh and lively combination of crisp, green orchard fruits, stem ginger and hints of tangerine mellows to creamy vanilla with a delicate note of mint and a gentle twist of citrus, all held together with a sweet barley back note. Flavour Warm toasted oak spices flood through green apple skins and dried apricots, ripening to hints of peach and soft banana. Subtle touches of aniseed and lemon zest create a contrasting edge to the fruit and add an intriguing character to the long, crisp barley finish. Types of Barrel used for Aging A combination of ex-Bourbon and ex-Sherry barrels.